This rectangular shaped 8 light pendant with geometric patterns fits both modern and contemporary spaces. The Oil Rubbed bronze finish with this design is suitable for dining areas and kitchens. Add filament style bulbs to this framework for lofts and industrial style spaces it will be a powerful source of light. Dramatic dark lines surrounding brass wire cage cylinders unveils a strong geometric shape. Multiple dimensional layers weave together a web of various shapes stylishly spaced out to create an airiness and add the illusion of weightlessness. 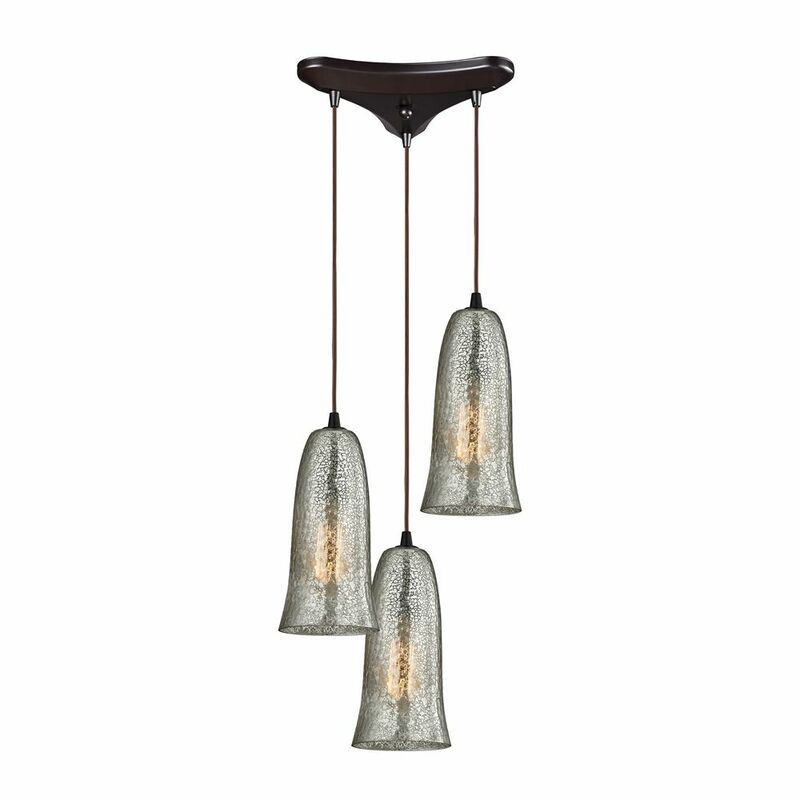 Rich colors make this a truly luxurious fixture, contrasting the bright shiny brass against the dark matte black.